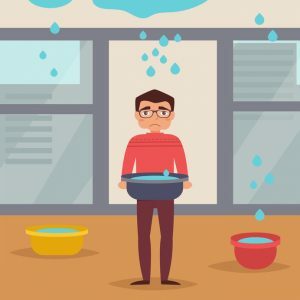 What Is the Most Common Cause of Roof Leaks? Roof leaks cannot be entirely prevented or avoided – the strong winds associated with tornadoes or hurricanes, very large hail stones, excessive rain and unexpectedly lengthy and heavy snowing can affect even the strongest, best-kept roof –, but there is very much that homeowners can do about the number one cause of roofing leaks: neglect. Many building owners expect their roofs to deliver perfect performance from the moment that the installation is complete until the roof is removed for replacement and never do any preventive maintenance until their roof starts leaking, so what can be defined as the principle cause of leaks on any type of roof is the lack of attention, of maintenance and of timely repairs to address roof faults while they are still minor. Here is how neglect can damage your roof and how proper maintenance can prolong your roof’s leak-free life. Roofs are surfaces on which airborne debris, such as the feathers, the dust, the dried leaves, small twigs and other forms of dirt can easily deposit and accumulate. When it rains, the debris on the roof surface absorbs moisture and keeps it in, preventing the roofing surface underneath from drying properly and sufficiently quickly. Prolonged exposure to moisture can compromise the integrity of the roofing components, causing shingles to deteriorate, damaging the seams, even causing rot or infestations with fungi or algae. If the topmost surface of the roof is weakened, moisture can easily penetrate the deeper layers of the roof as well, damaging wooden components, such as the beams of the support structure. Fortunately, the damage caused by accumulated debris can be easily avoided with roof cleaning. Choose a day when the sky is overcast and the air is not too hot, climb up on the roof, remove large debris, such as twigs and leaves, by hand or with a broom, then use an air blower to remove dust, too. You can finish the process washing the roof with your garden hose or with a pressure washer, but if you have a shingle roof, don’t use a very strong jet because it might remove the topmost protective layer of granules from the surface of the shingles. When you are done cleaning the roof, remove the debris and dirt that has accumulated in the gutter pipes, too – clogged gutters that fail to direct water away from the roof and from the walls is just as dangerous for the roof as accumulated dirt. Roof cleaning represents a major part of roof maintenance and an essential step for preventing leaks, but it is not all that you need to do. When your roof is clean and dry, you should also inspect it, inch by inch, to locate any faults that need repair, such as cracked or chipped tiles, missing components, curling, buckling or blistering shingles. Have roofing companies Lincoln NE specialists replace damaged components as soon as you can and perform a thorough check of the gutters, followed by thorough cleaning and timely repairs on those components as well. So your home was flooded, and many of your electrical outlets and appliances were heavily damaged. You might even be afraid of walking into your home for fear of tripping over a wire or touching a cable that might present an electrocution hazard. Or, alternatively, you might simply have purchased a new home that has some problems with its electrical wiring or features older wiring that has to be inspected more thoroughly by a real expert. Regardless of the reason, finding a dependable electrician can be essential and even life-saving on occasion. So make sure you follow the tips below, before calling up the first electrician you find in the Yellow Pages. The first thing you must do is gather your resources. Where should you look to find the best Littleton electrician, and what should be your criteria for rating them and choosing the best from among them, once you find them? For the purpose of answering this question, it’s important to check online, especially on local listings and ads, and not just limit yourself to the Yellow Pages or TV ads. Also, make sure you check the company’s credentials, reviews and ratings before you even consider contacting them. Research might sound boring at first, but it can mean the difference between finding a cheap and unreliable service and locating the best electrician in town. The first thing to do once you find a few electrician services is to check their online ratings and reviews as they appear in online directories and on online maps. Also, make sure you check their BBB rating and find out about any complaints that were filed against the company in recent months. Not all companies can provide you with the type of service you need. So, before you decided to meet up with an electrician, make sure you look up their website and services, and call them up to inquire whether or not they can help with your particular issue. Some electricians might specialize in commercial projects and have very little experience with residential homes in your area. Others might be better equipped to handle upgrading services, rather than finding illusive problems and repairing them. Keep these considerations in mind when you call an electrician and ask for details about their services. Before actually hiring an electrician, it’s important to meet with them in person and discuss a few things. First, be as thorough and detailed as possible about what you need and what items you want serviced. Prepare a list in advance, if it helps, and present it to the electrician before anything else. Any questions you have about the project, it’s best to ask them in advance – that means before they even give you an estimate. Your questions could help reveal details that you never even thought of, some of which might have a bearing over whether or not the electrician in question can even take on the project in the first place. Finally, make sure the electrician knows about money-saving electrical fixtures and outlets, and that they are knowledgeable about the newest and most modern ways and standards associated with improving safety and avoiding fire hazards in your home. Is It Worth the Money to Do A Bathroom Remodel? If you are considering a bathroom remodel, you are probably wondering whether the improvements that you are planning to do are worth it, indeed. There are two scenarios in which a bathroom remodel is surely worth the investment: if you are planning to stay in your home for at least five more years and if you are planning to sell it soon. However, either of the two scenarios require a different approach – here are some tips for you. If the goal of the renovation is to enhance your household’s long-term comfort, you should perform a detailed analysis of your finances and allocate the largest possible amount of money that you can afford – after all, you will be investing into improving the quality of life in your home. The bathroom is the room that can absorb any amount of money, but it is also the space that can be efficiently amended if you are on a budget, too. Start the process with a design phase – create a roadmap for the bathroom remodel Denver project and include every component in the bathroom that needs to be replaced or repaired, including the plumbing, the electric wiring, the water lines, the flooring and the walls, the fixtures and the furniture. If you want to reduce the costs, try to figure out whether there are project phases that you can handle safely on your own and look for alternatives to expensive, high-end fixtures and furniture, such as second-hand items or items made from affordable materials. When it comes to the lighting, look at the offers in stores and online, but don’t forget yard sales and vintage shops either – you can find spectacular items that are in great condition and can be turned into a classy and stylish addition with some sandpaper and paint. 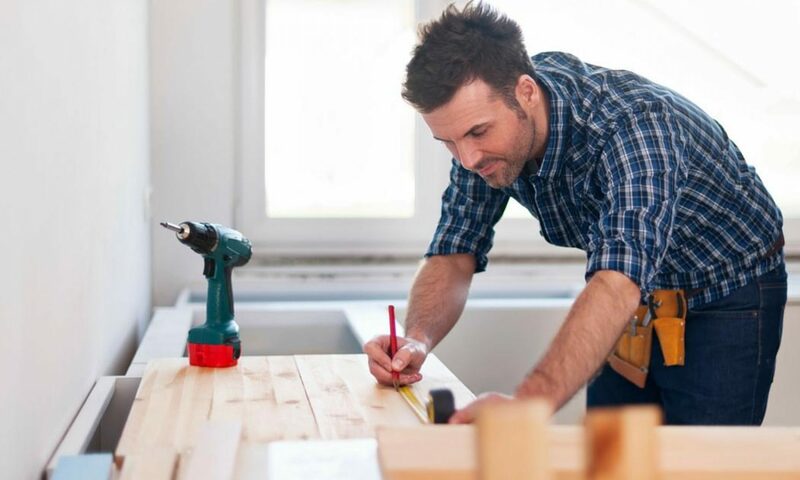 If the purpose of the remodeling is to make your home more attractive for potential buyers and to add resale value, it is a good idea to consider the amendments that bring the highest return on investment. Get the entire home inspected and address the issues identified during the inspection – start with solving the structural issues and move on to cosmetic aspects only afterwards. Try to figure out whether your bathtub can be refreshed or you need to replace it and consider replacing components that attract the eye, such as the tiles on the wall. 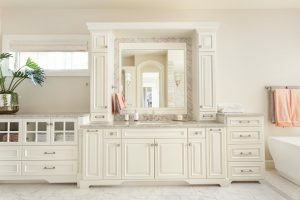 If your bathroom furniture is in good shape, but it looks a little worn, consider replacing only the cabinet doors, or, even better, try to refresh them using some sandpaper, a fresh coat of pain or a roll of wallpaper and some classy knobs. Cabinet remodeling can take a while, but it can be done without any special tools or previous experience and it is great fun as well. If you have easy-to-remove vinyl or linoleum flooring, you can choose to replace it yourself (the process is quick and easy and linoleum or vinyl sheets are inexpensive and available in an incredibly wide range of designs), but if you have tiles or hardwood on your floor, it is a good idea to call a Denver bathroom remodel professional to replace it. Whatever the type of fuel used by your furnace, the efficiency of your heating system will determine not only how comfortable the temperature in your rooms is in winter, but also the amount you will have to pay for energy. According to statistical data, heating-related costs amount to at least half of the total utility expenses that households need to deal with during the cold months. Fortunately, there are many great ways to improve the efficiency of your heating system – here are a few. The weather stripping around the doors and the windows, the insulation on the walls and on the ceilings are essential for maintaining the home’s energy balance without using up excessive amounts of energy. Check the areas around the windows and the doors for cracks and holes through which cold air can penetrate your home – in most cases, these issues can be quickly and easily fixed with some caulk and paint. The areas around the points where cables and pipes enter the home can also be too large – check them, too, then adjust the size of the holes with some more caulk. Installing proper insulation can also help your heating system work less by preventing heated air from escaping. Check the insulation in your attic or invest into insulation if the area underneath your roof is not insulated – the improvement will help you reduce heating costs in winter and cooling costs in summer. Furnaces and the other components of your system work hard all winter and they need to be regularly inspected and maintained to be able to function at the top of their capacity. The best time to perform maintenance work is in fall, before the cold weather settles in and heaters are turned on. The operations include the cleaning and the inspection of all the important components, the replacement of the filters, if necessary and a thorough testing to make sure everything is perfectly functional. If you feel up to it, you can handle routine maintenance work on your own, but you can also decide to call a professional for the job – most furnace Denver furnace repair company contractors offer maintenance services as well and their rates are very affordable. 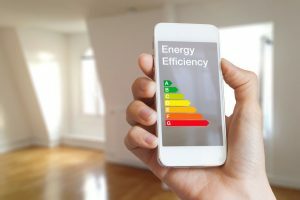 These compact, modern devices are very affordable, while also being great energy savers because they allow homeowners to adjust the temperature in their rooms to the most comfortable levels. With a programmable thermostat, you can set the temperature higher in the rooms that you spend more time in and lower in unused or rarely used spaces and you can also set the time when you want your heater to turn on. The most modern programmable units can be controlled via Wi-Fi and they allow the owner to make adjustments from anywhere, via laptops, smartphones or tablets. Programmable thermostats are very efficient when it comes to ensuring comfortable temperature inside your home and it is also an excellent device for reducing energy costs the year around, in winter as well as in summer. How Is Paint Made and What Are the Main Conditions of Preparing to Paint Your Home? 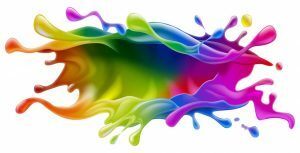 How is paint made and what is it made of? This is one question that eludes many DIY enthusiasts, even if they are extremely proficient when it comes to preparing the paint and actually doing the paint job. Understanding how the paint is made might not give you superpowers or make you finish your work more quickly, but it can help to avoid many discrepancies and problems that you’d run into otherwise. When considering the main components that make up exterior paint products, it’s important to mention the vehicle, film former, the thinner and the pigment. Each of these parts have specific roles, and there are also additional components worth mentioning, such as thermosetting and thermoplastic mechanisms that are designed to form films through various methods. In most cases, the vehicle is simply a mixture of a binder or film former substance and water or some other solvent. A combination between binder and special diluent substances is also possible, its purpose being to facilitate the polymerization and film forming processes once the paint dries up. The diluent or solvent plays a key role in that it dissolves the polymer and determines the viscosity of the mixture. Depending on how thin or thick you want the paint to be, various ratios can be used between the diluent and resin substance, and for oil-based paints, mixtures of different types of thinner and thicker oil might also be used. Finally, pigments are used to give the paint its color. There are a number of substances that can be chosen for this purpose, some of them – such as titanium dioxide and red iron oxide – also being used as so-called “hiding pigments” to add extra UV protection. Aside from all these components, you’ll also find that exterior paint is made to withstand the elements more easily and for a much longer time period, when compared to its counterparts used for interior painting. Most types of interior paints use heavy and harmful chemicals that are used to prevent moisture and UV radiation damage, while also keeping most types of fungi at bay. Because of these chemicals, it is strongly discouraged that exterior paint ever be used indoors. Painting the exterior of your home requires careful preparation, and if you also have to prepare your own paint, then the process might be somewhat more difficult and time-consuming. Before starting to paint the exterior, you have to be aware of a few factors: how much paint you’ll need, how much of the exterior will be painted, what type of paint you’re using and, of course, what the process is when it comes to preparing the paint. The main process associated with preparing the paint will typically involve mixing the resin with the solvent and pigment, if you’re preparing your own DIY paint, and just preparing the wall, siding or other surface. If you want to prepare the surface properly, you will have to wash it and apply primer. If you’re painting a metal surface, it’s usually best to apply an oil-based primer. Once you’re done with that, you will be ready to get started with the paint work. 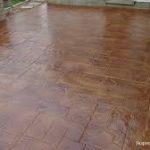 A patio can be a great addition to any home, and when it comes to building a new concrete patio, Denver experts usually recommend that you hire a specialized company for the job. But is that always the norm, or could you avoid the expenses involved with hiring a contractor by installing a concrete patio as your next Sunday DIY project? In the following, we will explore this possibility and pit it against the benefits and convenience of hiring a professional concrete service. Can You Install a Concrete Patio Yourself? Setting up your own concrete patio is no simple matter. The work involved is extensive, and you will have to buy all the materials on your own, although professional concrete contractors might be willing to give you a few pointers regarding which materials are the best. The work involved requires far more than just a single day to complete. You will first have to determine where your patio will be located, mark the area and remove all weeds, grass and roots using common gardening tools. Once you finish, you have to prepare the base and determine whether or not the patio will be level with the ground or slightly raised. Further work will be required to add a layer of gravel and prepare the frame of the patio prior to laying the concrete. The bottom line here is that, if you have some experience with installing anything like a concrete patio Denver experts will tell you to go ahead and try to install your patio yourself. However, the amount of work you’ll have to put into it, the time lost and the stress and challenges associated with such a project might not be worth it, even if you have the skill and knowledge to pull it off. • Concrete services in Denver have a comprehensive set of steps they follow in building patios, and they can provide you with aesthetically pleasing textures and designs that you’d likely have great trouble with, if you tried them in your DIY project. • Any problematic and unforeseen challenges associated with the ground or terrain will be handled much more easily by a professional. In fact, the technicians have probably seen the same problem countless other times, and they know exactly how to deal with it. • Most Denver concrete services offer affordable support both for installing patios and managing the maintenance work in the long run. • You no longer have to worry about being kept in the loop. Professional concrete company teams will communicate throughout every step of the process with you, and keep you informed about any possible changes. Hiring a professional concrete contractor will usually be the best option if you want to get the best possible quality with your concrete patio. Vinyl planks are becoming more and more popular these days, used more and more not only in commercial or industrial environments, but in homes, too. Vinyl plank flooring companies have developed technologies that make it possible to create vinyl that perfectly replicates wood, stone and other expensive materials, so vinyl planks are nowadays used not only in bathrooms, basements, kitchens and garages, but in living rooms, halls and bedrooms as well. Why Use Vinyl Planks in Your Home? Durability – on the average, vinyl plank floors can resist for at least 15 years before showing any sign of aging or wear and tear. Vinyl planks can withstand rain, snow and strong sunshine as well, therefore the material is suitable for outdoor usage just as much for indoors. Try to find plank flooring that is fitted with a special, super-durable protective top layer that the planks resistant against normal wear and tear, scratches, stains, even to being frequently walked in the most pointed heels. Vinyl planks are nowadays available in conventional stores and at online vendors as well, so you can have them conveniently delivered to your doorstep without even having to leave the house. The term underground cable locators is equally used for the devices employed for identifying buried utility lines and cables as well as for the companies and the experts that perform the identification with the help of location devices. 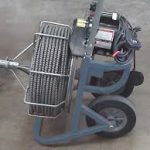 In what follows, you can read about the benefits of underground locating cables and pipes and about when and how you can hire the right professionals. Locator companies work with technicians who are familiar with using even the most complex location technologies and are able to interpret the results returned by location devices accurately. They will also use the best solution to identify sub-service utilities – you must know that not all devices are able to locate any type of cables or utilities, some are suitable only for electric and communication cables, others only for metal, while the most advanced devices can locate all sorts of utilities, including concrete and plastic lines and it takes knowledge and experience to know which device should be used on your terrain. The best time to hire Orange County utility locating company is in the pre-planning stage. It is recommended to perform the identification of buried lines and pipes prior to starting the architectural design because that way your architect can start working on your blueprints knowing exactly how to place the buildings and how to create the landscaping without interfering with buried structures. If your blueprints are already finished, but you failed to perform the utility location, that is not a very big problem either, the important thing is to call a utility locator service prior to doing any excavation and digging. If you are lucky, your development plan can be executed as it is, without any major modifications, but if the locator company finds lines that are in conflict with your current plans, you will need to modify the plans before starting construction work. To be able to hire the best locator company, you need to look for a combination of experience, reliability and affordability. Just do a quick research online and you will find numerous locator services in your area. Continue your research by visiting their websites and check for descriptions of the services they provide, of the technologies they use as well as for testimonials. Check the reputation of the company visiting review and rating sites and online forums – you will be surprised how much useful information is provided there. When you performed the background check, contact at least three companies for cost estimates. It is a good idea to invite company representatives to your construction site or property to give them a better idea of what they may find underneath. Get the cost estimate in writing before you hire the company – you can even draw up a contract with them for an even more detailed collaboration framework. Request a written report of their findings, too – you will need to show the results to your architect as well as to the civil engineer who is in charge of the construction. Denver sewer line inspection services can help you a lot and not only when you are already facing a sewer pipe problem. The scoped inspection services provided by plumbing technicians are just as useful for you if you have a landscaping plan, you want to sell your home without having to worry about the future owner having to solve long-lingering sewer issues or you want to buy property and you want to be sure the sewer system is in good condition in your dream house. The appearance of a sewer belly, a modification in the slope of a section in the line that leads to build-ups. Many sewer repair Denver professional plumbing companies nowadays use video scopes to identify sewer line problems. A small, high-definition camera is attached to the end of a long, flexible rod and the assembly is then introduced into the line to identify the type and location of the problem. The camera can be introduced through roof vents, clean-outs, toilet sweeps or floor drains, without requiring any invasive measures such as drilling or breaking. Once introduced into the line, the video camera once records images as it travels through the line and transmits them to a monitor where they are viewed and saved for further assessments. The recording is then saved to a hard disc or other data carrier such as a CD or DVD and most companies also issue a written report about the inspection results. A plumbing snake like can also be used to clear a clog. Sewer line inspections are equally useful for developing the best repair strategy and for prevention. If the inspection reveals some kind of clogging or cracking in your lines, the recordings will also tell the plumbing technician about the composition of the clog or the size of the crack, allowing the expert to determine the best course of action to take. Drilling and breaking is not always necessary to fix the issue, in some cases it is possible to dissolve the clog using chemicals or other methods and cracks can also be solved by introducing a pipe into the line the has cracked. Prevention is also much more efficient with the help of video inspections. The recordings made with the camera will inform the technician about the general condition of your sewer lines, allowing him to develop a suitable maintenance plan and to determine the best cleaning techniques to be used. The local Denver roofing contractors can help you with all sorts of roofing-related problems – whether you need replacement, repair or maintenance for your roof and your siding, local contractors will know how to handle your project the best way. Roofing maintenance – an often neglected task, maintenance can strengthen your roof and prolong its life, but only if it is done by professionals who have the trained eye to notice even the smallest faults and the thinnest airline cracks that need remedy. The advantages of working with a professional Denver roofing company range beyond quality and safety. Roofing contractors can accurately assess the time and the costs of completing a project and they also take care of debris removal when they are done working on your site, so with an expert by your side you can be sure the project will not drag on forever and you will be able to get on with your life the minute the roofing team leaves. You can start looking for the right roofer by asking people you know if they have any experience with local roofers, but if you prefer more objective methods, the internet is an excellent source of information. Most professional roofers nowadays have their own websites, and Denver roofing contractors are no exceptions – just do a quick online search and you will find dozens of local roofers. Bear in mind that roofing is highly specialized industry – some roofers provide only commercial or industrial services, while others work only on residential projects, so specialization is the first thing you need to check. Make a list with three or four roofers you consider most suitable for your project, then contact them to present your project and to ask for quotes. You can also choose to invite potential candidates to the job site to allow them to get more insight – it will help them provide more accurate and more detailed quotes. Ask the roofers to provide references and make sure they carry the right insurances and permits, then make the final decision based on the quotes, the portfolios and your personal impressions. The best roofing contractors provide excellent, professional services – there is no roofing issue they cannot handle, so don’t waste precious time and energy trying to fix your roof all by yourself, leave roofing projects to roofing experts.